In his first public statement, senior journalist Hamid Mir still held the country’s military-led Inter-Services Intelligence (ISI) agency responsible for attack on him in Karachi on April 19 stating who were threatening him and why and who might have staged the attack. 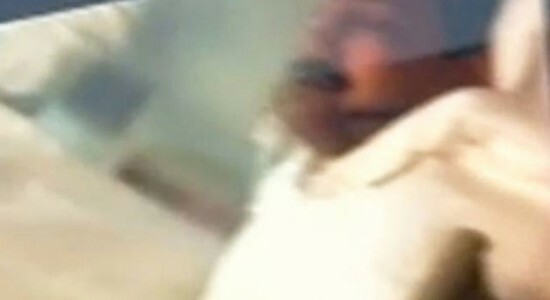 The statement by Hamid Mir was read out by his brother Amir Mirwho is also a journalist and working with The News, in Karachi on Thursday (April 24, 2014) outside the Aga Khan Hospital where the injured journalist of Geo News channel is being treated for his wounds. Hamid Mir had informed some visiting intelligence officials about the threat he was “facing from the ISI,” the brother read out from the Urdu-language statement. He said that his brother was aware of the agency’s method of threatening journalists and media houses for “biased reporting” of certain national issues. The senior journalist was concerned at the government’s failure to hand over written proof of ISI’s threat to his life, said Amir, adding that Hamid was also concerned about the probe of a planted bomb underneath his car in November 2012. “Hamir Mir has vowed to foil all these conspiracies being orchestrated against him and his family members at an appropriate time,” Amir said. “No individual or Institution is above the law to Hamid,” he said, adding that covering up armed forces and its agencies’ role in politics was criminal silence. Hamid Mir condemned the government and other state institution’s efforts for suspending Geo TV’s transmissions. Hamid said he had informed the Geo management, his family and close friends of threats he was facing prior to the April 19 attack. Hamid Mir said he had identified the elements from whom he was facing threats and they were identified by his brother Amir Mir following the attack. According to Hamid Mir, he had informed close associates, apart from Amir Mir, about who would be held responsible if he was attacked. Hamid Mir said he had threats from state and non-state actors but in the recent past such events had taken place which led him to inform his colleagues about the elements who could be involved in conspiracies to kill him. Hamid Mir said that a few days ago, some members of intelligence agencies came to his house and informed him that his name, along with that of other journalists, was on a hit-list. Despite being asked, these people did not provide any details pertaining to who had made the hit-list. After this meeting, Hamid Mir informed officials at concerned departments that in the past he had threats from state and non-state actors because usually state actors use the name of non-state actors to threaten journalists so they can be stopped from telling the truth. According to Hamid Mir, he had informed the intelligence personnel who came to his house that he “felt threatened the most by the ISI” and they should convey this to their officers. Hamid Mir further said that the ISI was “upset” with him because of a ‘Capital Talk’ programme which covered the long march of Mama Qadir Baloch. Hamid Mir added that he was aware of the ISI being upset over his criticism of the role of intelligence agencies in politics. Hamid Mir said that if officials had reports of threats he was facing why was he not informed in writing. He questioned why those who had planted a bomb underneath his car in November 2012 were not exposed despite the Tehrik-e-Taliban Pakistan (TTP) claiming responsibility for it? According to Hamid Mir, phone numbers of those who had issued him death threats were provided to the Islamabad Police, but why did the police not take action against them? He said that despite a police report, action was not taken against those who had attacked his children in Islamabad. Hamid Mir said that he would provide further details of these incidents when the time comes. Hamid Mir expressed fear over the security of his brother Amir Mir and other family members and said if they were harmed the responsibility would lay on state and the government. KARACHI: A TV grab shows Hamid Mir being taken to a hospital minutes after attack on him in Karachi on April 19.